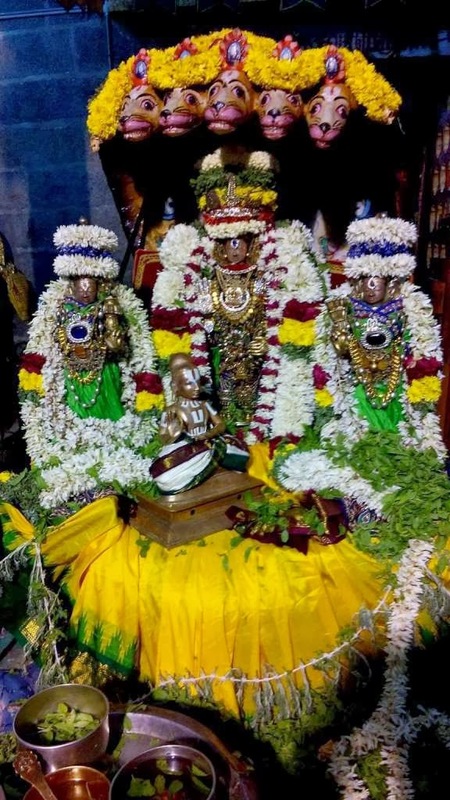 Generally, people get excited about Vaikunda Ekadasi and ‘Paramapada Vasal’……… they are part of the Adhyayana Uthsavam beginning with Pagal Pathu, Irapathu – concluding with Thiruvadi Thozhuthal and Iyarpa Sarrumurai. 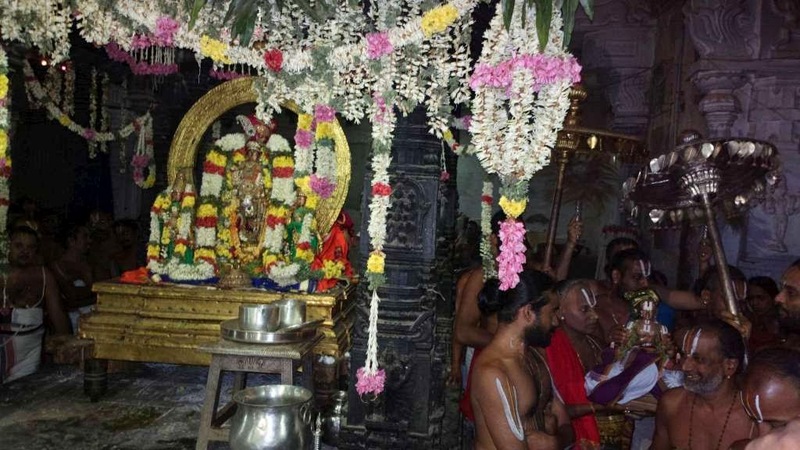 The 10th and concluding day of Irapathu Uthsavam was on 20th Jan 2014 - very significant for the “Thiruvadi Thozhuthal”. 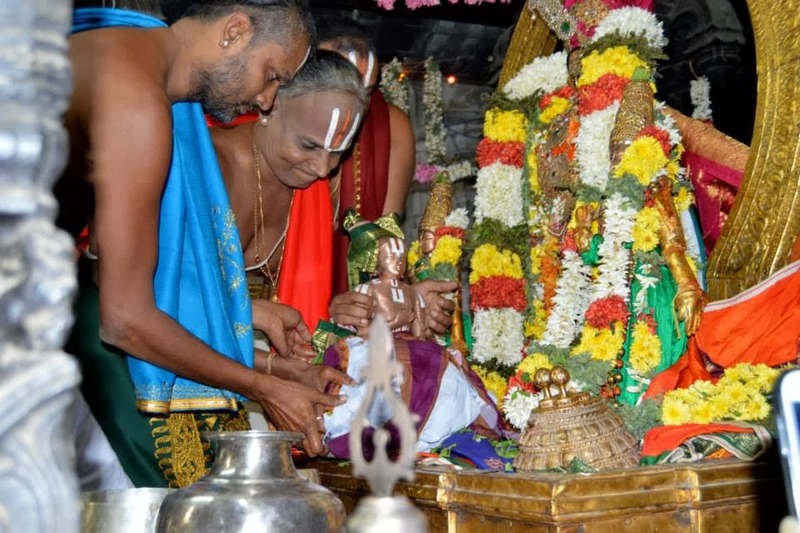 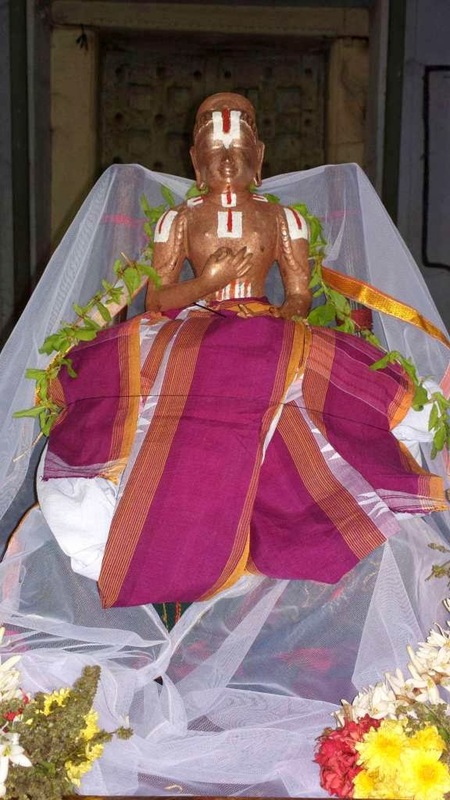 On that day, in the evening purappadu it was Upadesa Rathinamalai goshti… Swami Nammazhwar could be worshipped in his Thirumeni without kavacham. 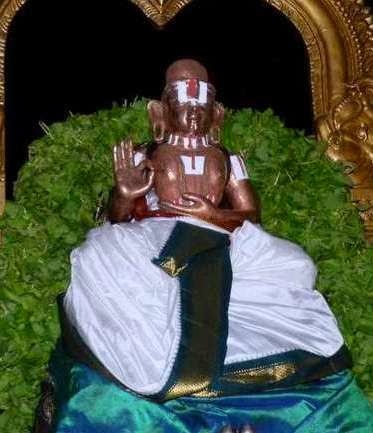 After Thiruveedhi purappadu, there was rendition of 10th chapter (Patham Thiruvaimozhi) of Thiruvaimozhi in front of Lord Parthasarathi, Alwars, Acharyars and prominently Swami Nammalwar. 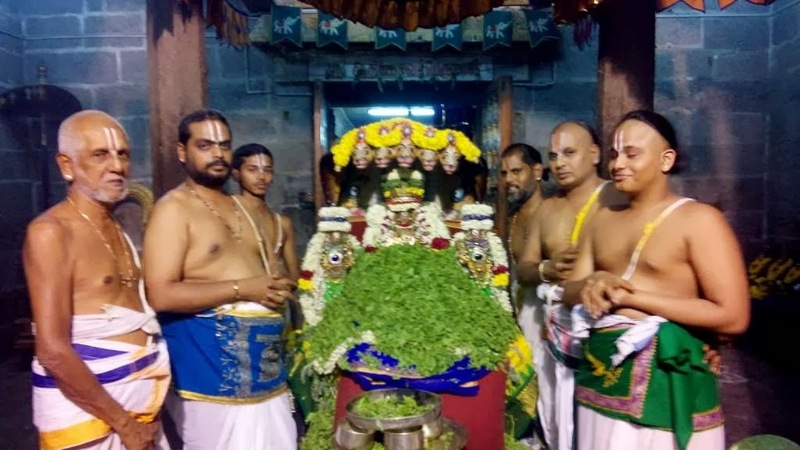 Then as it happened, those in the World appeal to Lord to give back Nammalwar and Lord Paramapada Nathan grants Azhwar back to us to show us the way of leading life devoted to Sriman Narayana and the process of nearing Lord and reaching Him, seeking the Moksha.